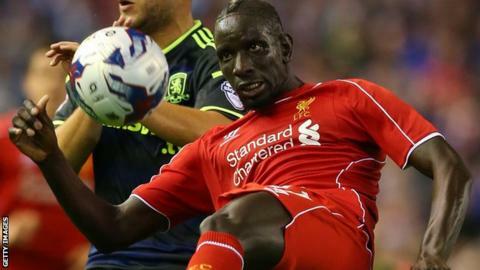 Liverpool defender Mamadou Sakho has apologised for making "a bad choice" by leaving Anfield before the Merseyside derby against Everton. The French international, 24, was left out of the squad and was pictured by a supporter heading out of the stadium. The game ended in a 1-1 draw after Phil Jagielka's stoppage-time goal cancelled out Steven Gerrard's opener. Sakho, who joined Liverpool from Paris St-Germain in a £18m deal in August 2013, had appeared in five of the club's first seven matches this term. "I really want to apologise to the club, the supporters and every person who felt offended when I left the stadium this afternoon," the centre-back added.